How Bad of a Problem Is Ebay Fraud? Home /Consumer Protection/How Bad of a Problem Is Ebay Fraud? You’ve heard the horror stories and have been told be to careful on eBay, but is fraud really so common these days? The answer is yes – eBay scams are still quite common on the popular auction site, and both sellers and buyers need to aware of the dangers they face trading money and products with strangers. Following is a list of several of the most common eBay scams and what to look out for to protect your wallet and belongings. For those unaware, phishing is a scam in which a con artist will send a user an email that appears to have come from eBay, but instead tricks the user into giving their username and password. Despite the news and warnings circulated by eBay and fraud combatant blogs, the problem isn’t going away – the con artists are simply getting craftier. It used to be that obtaining a user’s eBay account was as easy as sending an email from an address that looked like eBay, and telling them their account would be closed unless they replied with their username and password. These days people don’t commonly fall for this, so scammers have started using fake websites that look just like eBay, except they steal account information when a user logs in. In fact, earlier this year JSOnline reported that some eBay scammers used Craigslist to lure in their victims. Con artists do this by posting something for sale on Craigslist and then telling interested buyers that they would rather sell it on eBay because it is more secure. The user is then sent a link to a fake listing that prompts them to sign into their account and place their bid. Predictably, when the user signs in, the site steals their username and password and the scammer uses the victim’s account to continue the fraud. Ebay users must not only look out for their identity, but also for fake items listed for sale as the real thing. In 2006, the International Data Corporation (IDC) performed an investigation of the prevalence of pirated software for sale on eBay and found that over 50% of Microsoft branded software on eBay was illegitimate. 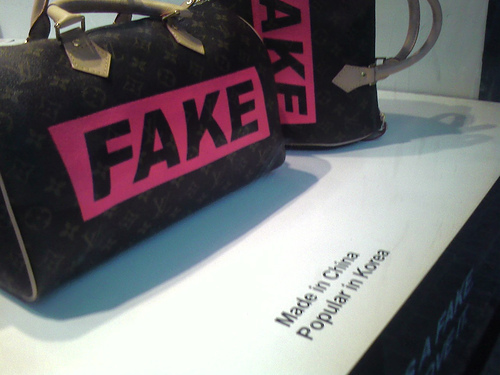 This study illustrates the far-reaching nature of this kind of fraud, and leaves users to wonder what percentage of other highly coveted items are fake. Ebay users are encouraged to remember the old saying “if its too good to be true, it probably is.” No sane person would take a loss worth hundreds of dollars to get you a new Chanel bag for $50.00. Triangulation fraud is a popular and uncommonly aggressive type of eBay fraud. Worse yet – it’s incredibly difficult to detect until it strikes. The way this scam works is that the criminal will list a moderately expensive item for sale on eBay, but one that is also available from other online retail sources. When a buyer wins the auction, the scammer will purchase the item from an online retailer with a stolen credit card and pass along the buyer’s shipping information. Only once the credit card is reported to be stolen will the retailer investigate the charge, and when they look into it they will have a record containing the eBay buyer’s information – taking the scammer clean out of the picture. EHow cautions buyers to check all receipts and shipping documents that come with purchases to look for strange credit card numbers or information from people they have never heard of. If you catch the fraud before the credit card gets reported, you might have an easier time dealing with the authorities when they question you. Ebay buyers who lose an auction sometimes receive “second chance” notifications in which the seller offers them another opportunity to buy the item they were bidding on. Scammers manipulate this system to steal novice users’ credit card information by setting up an auction and letting buyers bid all they want on the item. When the auction ends, the seller sends out very official looking, eBay branded emails to the second and third highest bidders telling them that the seller has offered them a second chance to buy the item for their highest bid. When the victim clicks on the “buy” link, they are taken to a page that looks like an eBay auction in every way – except it isn’t. Instead, the page was designed by the scammer and is programmed to steal the buyers credit card information the moment they type it in. Shield scams are a type of eBay trickery that targets the seller of items, rather than the buyer as with most scams. The scam is set to target people selling expensive items who haven’t put a reserve on their listing. Typically the scammer will register two accounts, and use competing bids to ensure that they get the item for an incredibly low price. If an item of interest costs $1,000.00, for example, and the seller forgot to set a reserve on the listing, the scammer would use one account to bid very low – say $40.00. He would then use his second account to make an astronomical bid that no other legitimate user would dare challenge – say $3,000. This discourages anyone else from bidding, until only a few seconds of the auction remains. The scammer then retracts his high bid, leaving his low one as the sole winner of the auction.